Tankar och funderingar kring livet: How to get a proper shot of the moon! 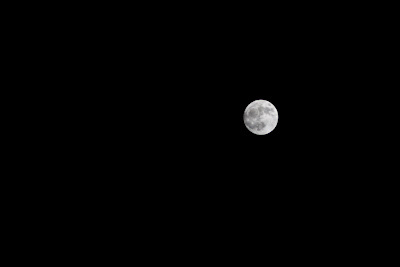 The moon is a very interesting and hard subject to get a proper picture of because it is a very bright object and being far away that you need a 600mm+ lens to get really close! Also being so bright you need to know how to expose correcly otherwise you dont get the details of the craters to show on the picture! - Using ND filters to stop down the moons intense light, the downside is that the moon has a habit of being a moving target which can affect your ability to get a sharp photo when using a lower shutterspeed! - Set you cameras exposure compensation between -2 to -5 (if you camera support more then 2 steps). - Set your camera to manual mode and find a shutterspeed that works using trial and error (I find around 1/100 to 1/200 works great with f 4.0 and iso 200). Properly exposed photo that shows the craters clearly. Notice how bright the moon is when it shows up as a blob of light as default! 1. I edited the raw files using Adobe camera raw and then loaded them in photoshop cs5. 2. 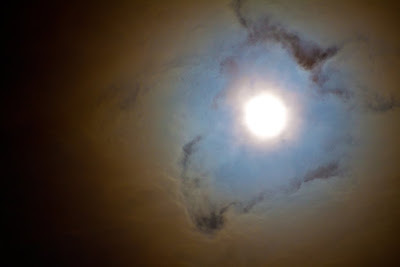 I then dragged the photo with the details of the moon in the photo with the details of the sky. 3. 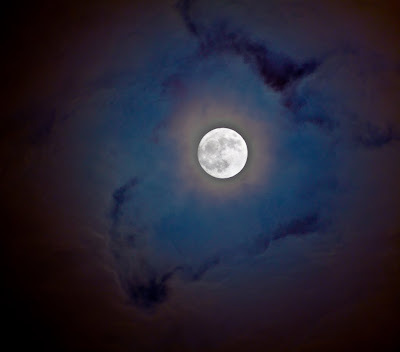 Using layers i set the opacity of the detailed moon shot to 40% so that i could align both photos and then adjusted the settings i needed to in order to get the effect i was looking for. 4. I then saved the final images as a psd and loaded the file in Lightroom and did some additional editing. The end result is great and well worth the effort! - Mount your camera on a telescope.